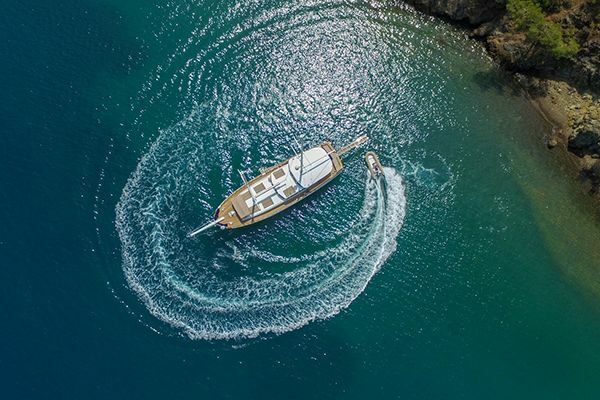 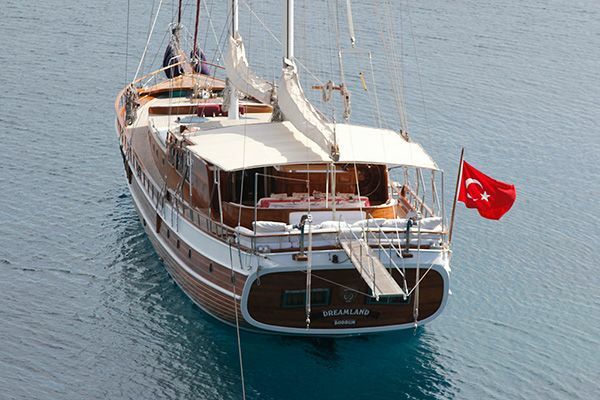 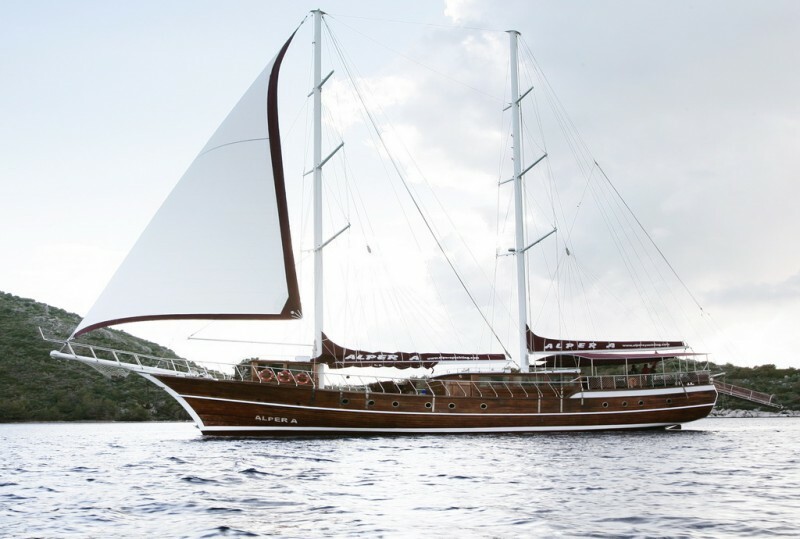 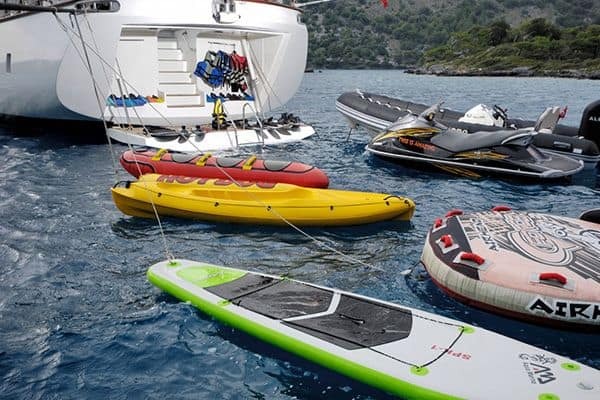 The Alper A offers the luxury gulet version of a crewed yacht charter experience for a large group of up to sixteen guests around the enchanting coast and bays of the southwest coast of Turkey. 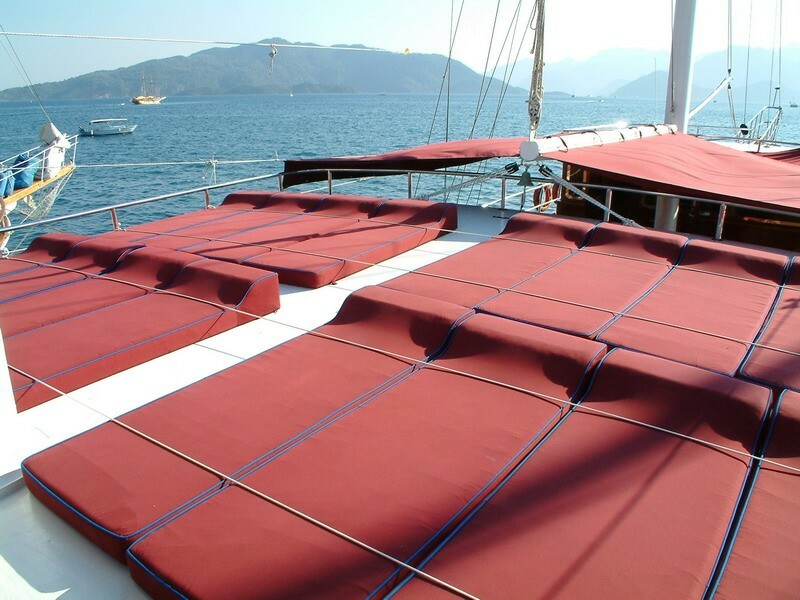 The distinctive deck design of two superstructure cabins, one forward for the galley and navigation, and one for the inviting indoor saloon, typical of the Marmaris boat builders’ craft, allows space for guests to move around the boat and enjoy different areas for relaxing, sun bathing, lazing in the shade and enjoying life aboard. 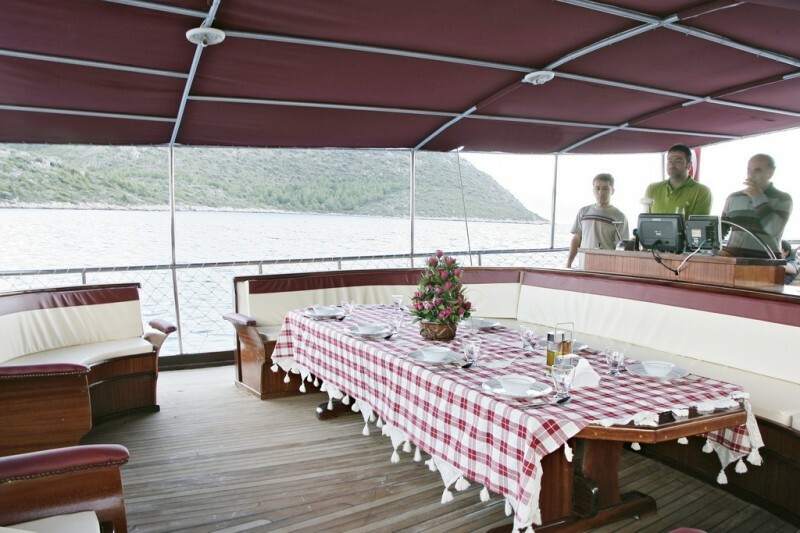 The outdoor dining table is located so guests can enjoy delicious meals under the awnings on the aft deck, with more cushioned seats around it to form a conversation and relaxing zone. 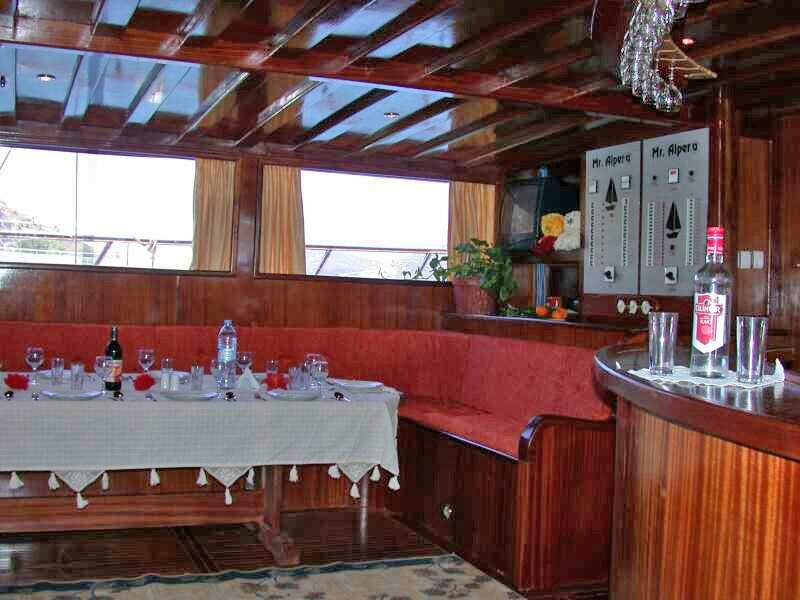 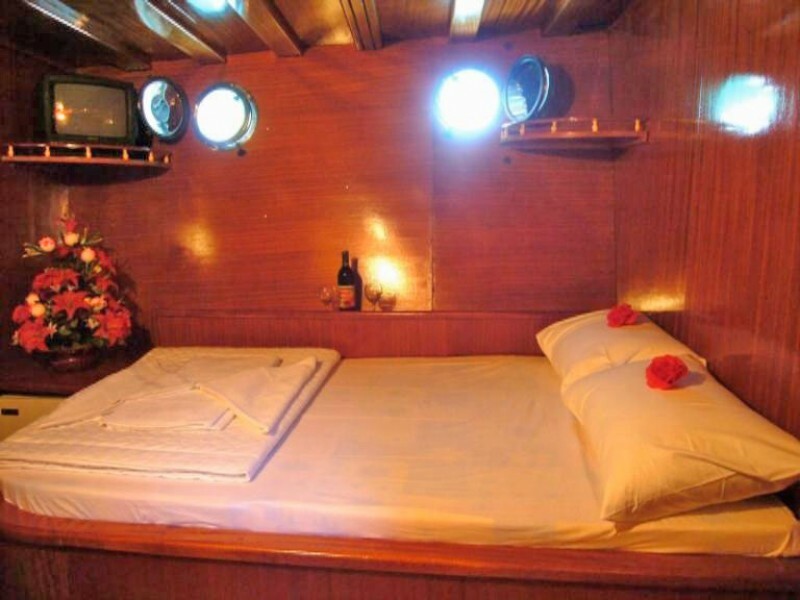 Guests can relax on more cushion pads behind the captain’s wheel on the stern. 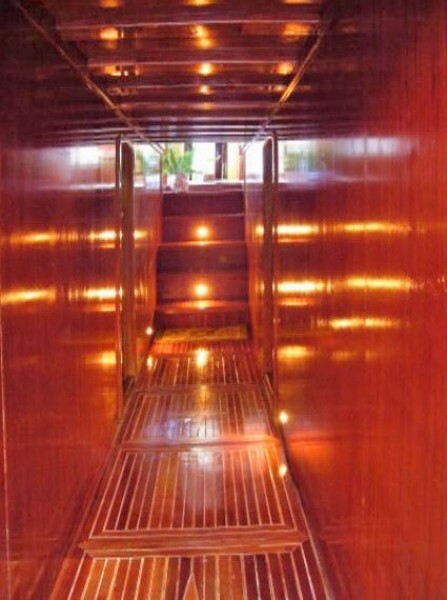 A great deck of sunbeds for all guests is reached by a stairway to a deck above the saloon. 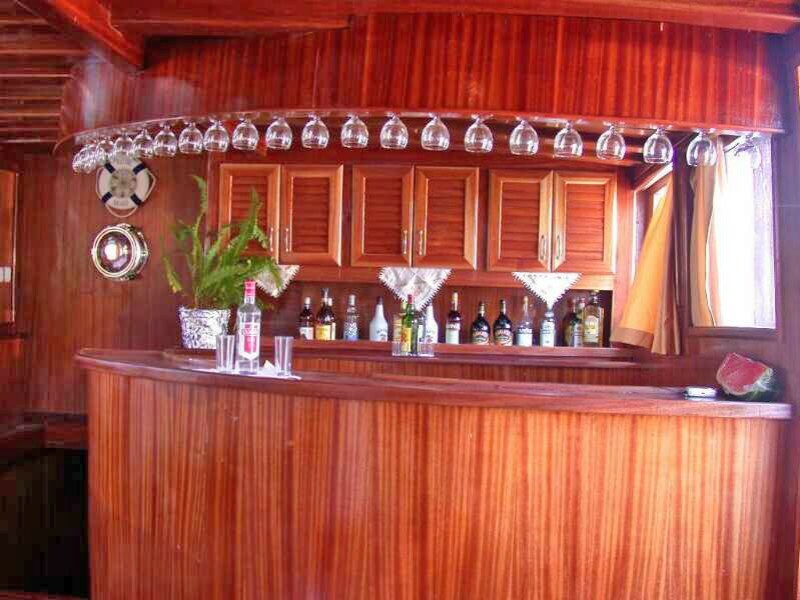 The saloon holds a dining table, the all important bar, and more comfortable seating where TV/DVD and music can be enjoyed. 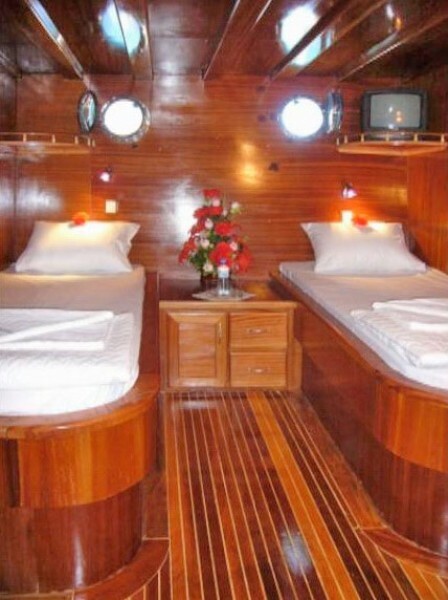 Below decks the eight cabins of six double bed and two twin cabins have been decorated in a nautical pine wood finish and fitted for comfort. 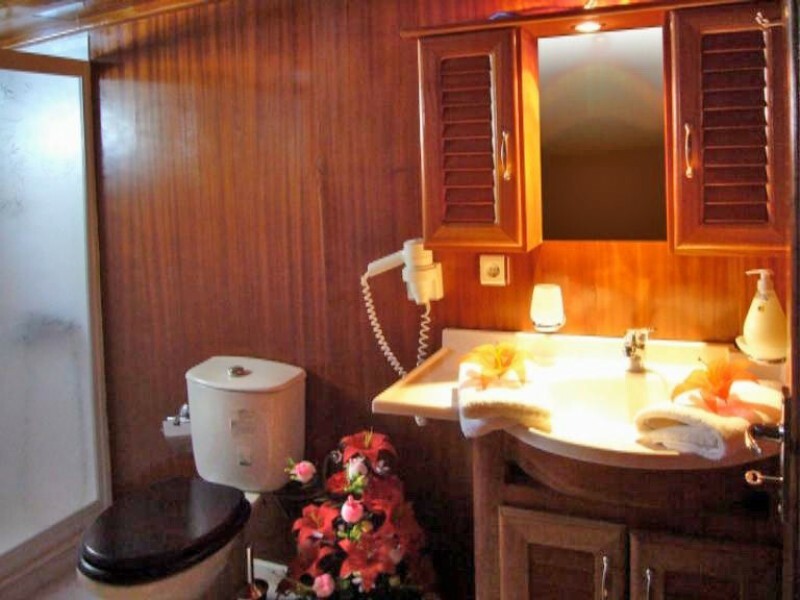 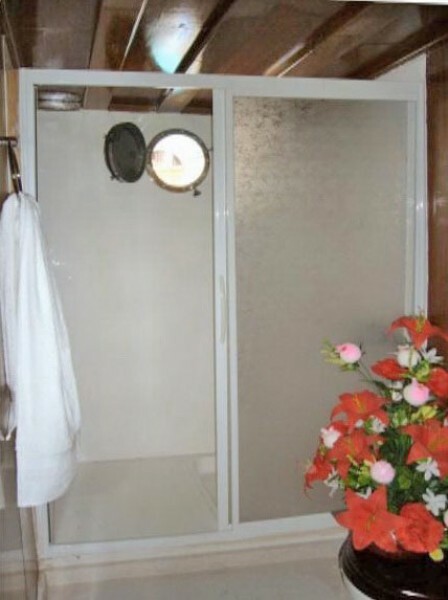 All cabins have a roomy bathroom with shower cabin, hairdryer, and air-conditioning available. 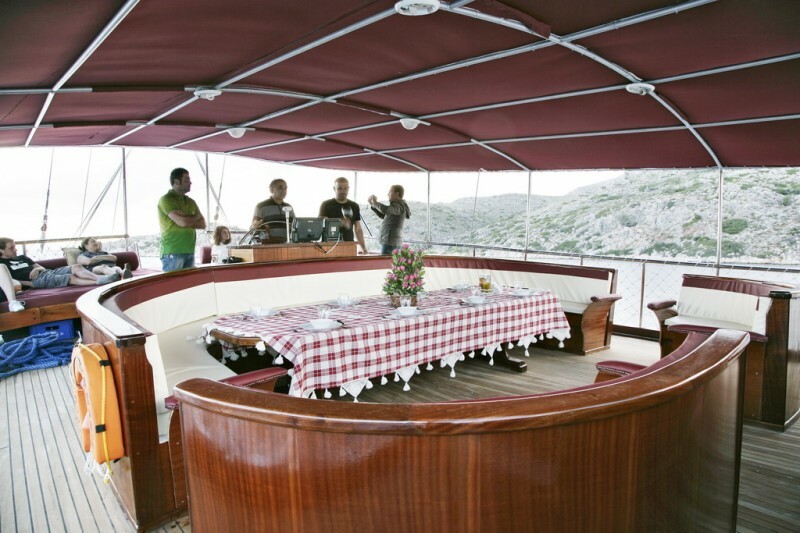 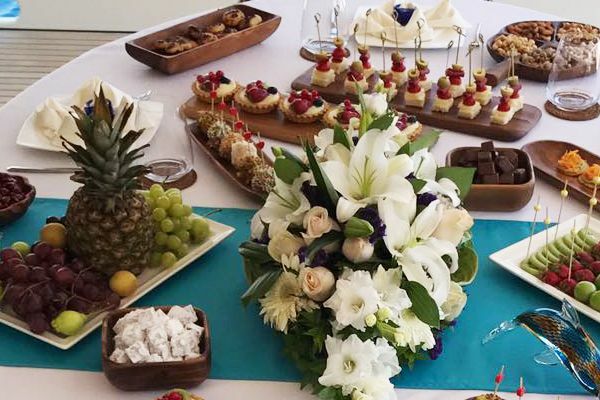 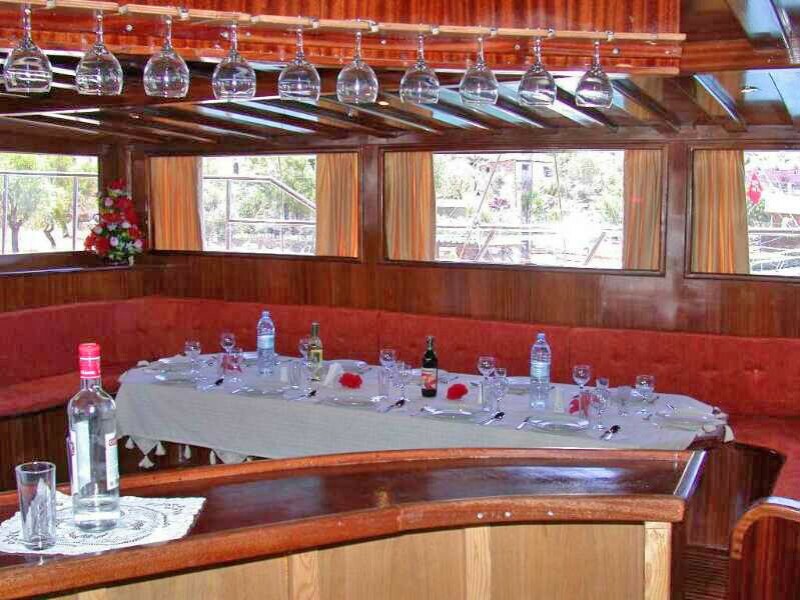 The captain and crew of three make the guests’ experience complete with excellent service, presenting superb meals each day, drinks service, cleaning and all sailing, and assisting with all activities, the water sports and exploration ashore. 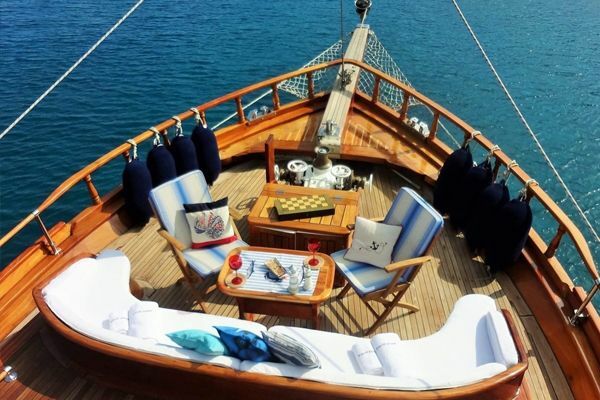 A crewed charter cruise on Alper A gulet along the Turkish Mediterannean coast and into the Greek Islands of the Dodecanese, is a cruise made to delight and refresh everyone on their holidays, and dream of returning.